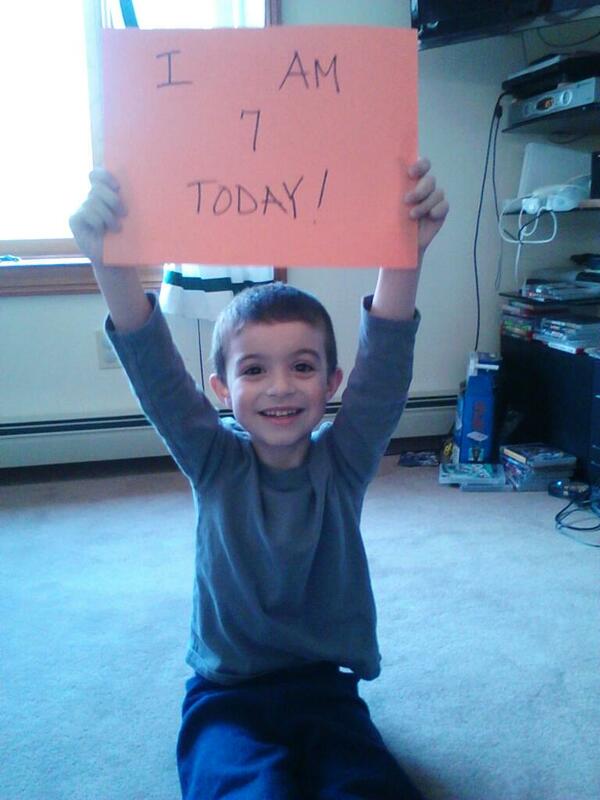 My son turned seven today. I had a big long post developing in my head about it. Something about milestones – OUR milestones. Not the ones in Parents Magazine but the ones that matter in my house. The ones that I measure. But last night I sat on Howie’s bed, watching him fall asleep for the last time as a six year old boy. He had his head on the pillow. He was smiling. And with that, he closed his eyes. That smile, that awesome unconditional love of life…that is what I have always used as our measurement of progress. When it is not there, that’s when I know we’re off course. That post about milestones can wait. Because all I want to know now…on his seventh birthday…Is he happy? Today, happy is the only milestone that matters. It is my job to make sure he stays that way. Happy Birthday to my hero.